identified as "revisionists" or "brownshirts." 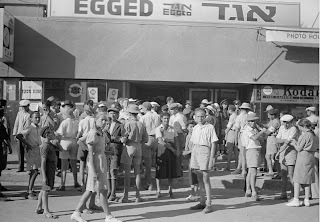 The British "White Paper" approved by the House of Commons on May 23, 1939 severely restricted Jewish immigration into Eretz Yisrael precisely when the Jews of Europe were under threat of annihilation by the Nazis. 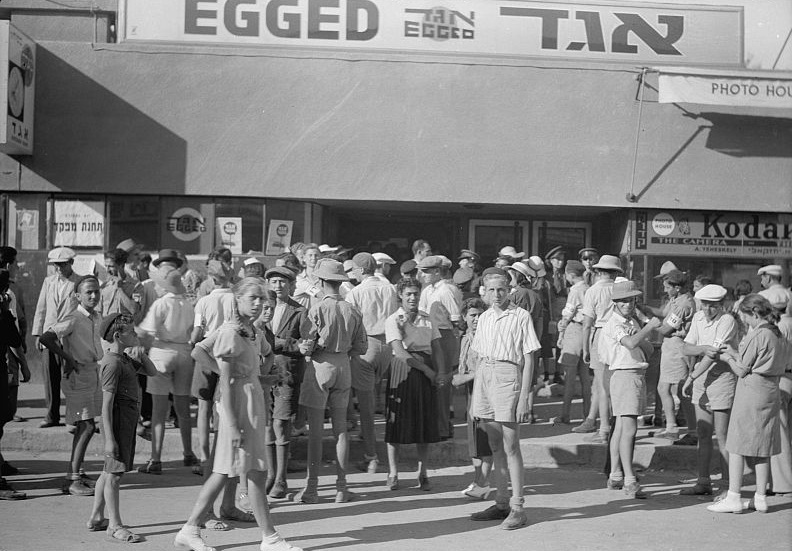 The British were reacting to three years of the Arab Revolt which demanded an end to Jewish immigration. 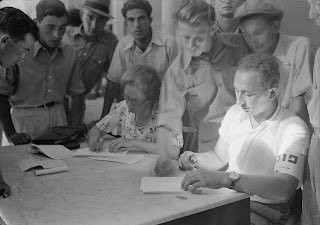 Along the route of the demonstrations, "census stations" were set up to recruit young Jewish men and women, and the Library of Congress collection contains pictures of the recruitment campaign. ﻿﻿According to one newspaper account at the time, "All men and women between the ages of 18 and 35 have been asked to voluntarily register and place themselves at the disposal of the Jewish authorities for any duties in order to defeat the new policy." the left reads "census station." 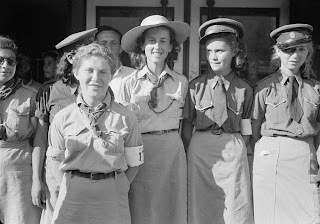 Presumably, they would later serve in the Jewish militias such as the Haganah or Irgun, and many would join the British army to fight the Nazis in Europe and North Africa. 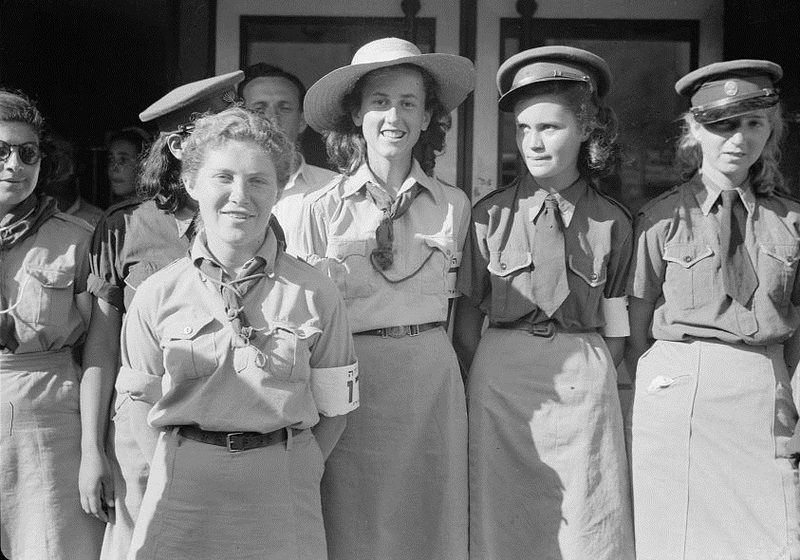 An estimated 30,000 Jews of Palestine fought in the British Army in World War II. Coincidentally, as the White Paper was issued, 937 Jewish passengers were sailing on the SS St. Louis from the German port of Hamburg seeking refuge in Cuba and the United States. Entry was denied. 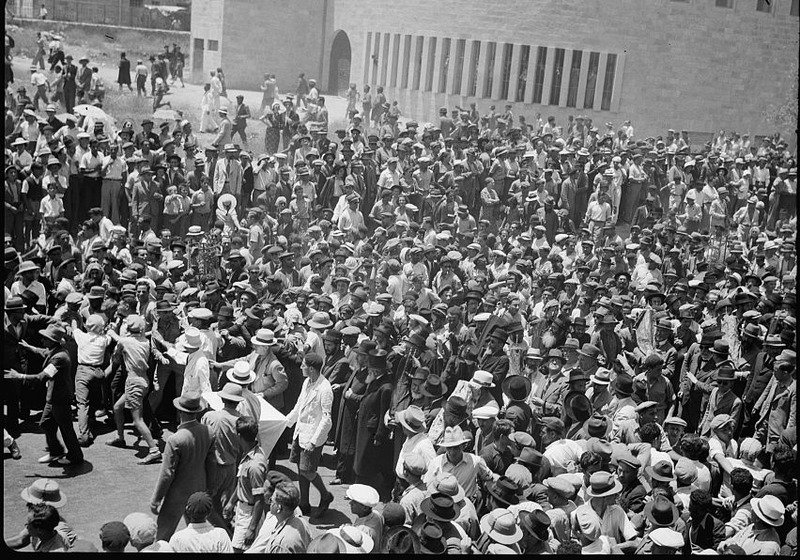 The ship and its passengers were forced to return to Europe because the gates to Palestine were also shut. One newspaper provided an account of Lithuanian Jews in Kaunas delivering a protest against the White Paper to the British legation and the Lithuanian Foreign Ministry. Tragically, the Lithuanian Jewish community was wiped out by the Nazis.